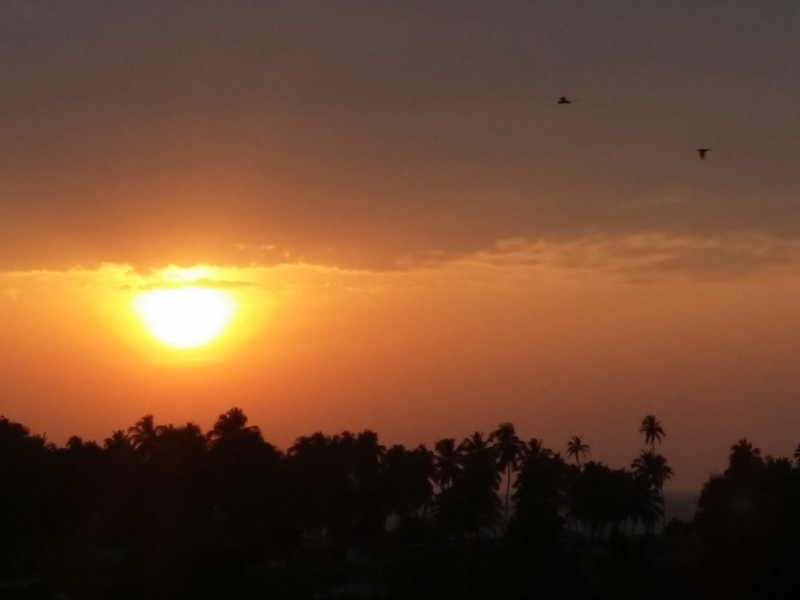 Anjuna, Goa Tales #4–A lost Expat – Goan Good! It’s been almost 2 months in mother India. I’ve officially graduated from running countless laps…..wait, was that 23 or 25? UGH!………around the obstacle free soccer field I found as my initial salvation, to running all around the streets of Anjuna. It’s great freedom, for sure. I’m getting to know the shop owners by name as I pass by like a weird white girl huffing and puffing through the miles. Most people either cheer me on or ask if I need a ride, and the message spread far and wide about my gigantic invisible stick, so gangs of dogs know who’s boss now! I even have a few dog friends that I visit along my route. Things in the running world are goangood! But, India is still a strange place. I am confronted daily with nonsensical and quirky things, and I have an ongoing list to share with You. . . . Some of the ice cream here (probably not the good kind) is in rectangle boxes that only open on the ends. That means, the whole box gets torn and then people use a knife to cut squares of ice cream instead of scoops. . .like cutting slices of bread. Hmm. . .I think India has a funny idea of containers, but I kinda like the notion of cutting something I wouldn’t normally think to ‘cut.’ It reminds me of when I was a kid and my mom used scissors to cut pizza. The bathrooms here are interesting, although I’m starting to really like them. 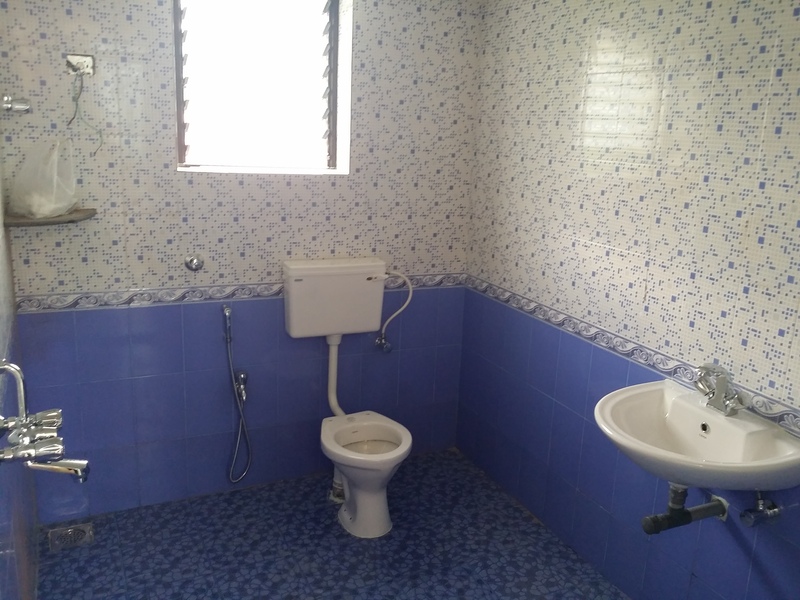 In Goa, I mostly see ‘western’ toilets, but there are still the squat kind around. For public bathrooms, I much prefer the squat toilets because the germs are, at least, on the ground not anywhere near my precious tucus. In the homes, the style goes something like this. . . The shower is the whole bathroom. It’s odd because that means the floor might be wet, so you don’t want to enter the bathroom with socks on ever, however, it’s so freeing to let the water splash wherever it pleases without worry of the floor flooding. Every shower cleans the floor, too, so there’s added benefits! But, do you know what the best part of the bathroom design is? See in the above pic. . .that little hose to the left of the toilet? That hose is a bum cleaner!! It’s sort of a hand held bidet, kinda like the hose on the sink to spray all the food scraps into the drain. I’m not too sure about using it on my own bum, but I do use it often to spray down the bathroom as a cleaning tool. Sand from the beach? Toilet needing a rinse? No problem. Garbage is a serious problem all over India. In a lot of places, there isn’t any garbage protocol, so people either burn it or throw it out the window. The common mentality is to throw most things out the window (except bananas!). . .or, over the fence, over there. 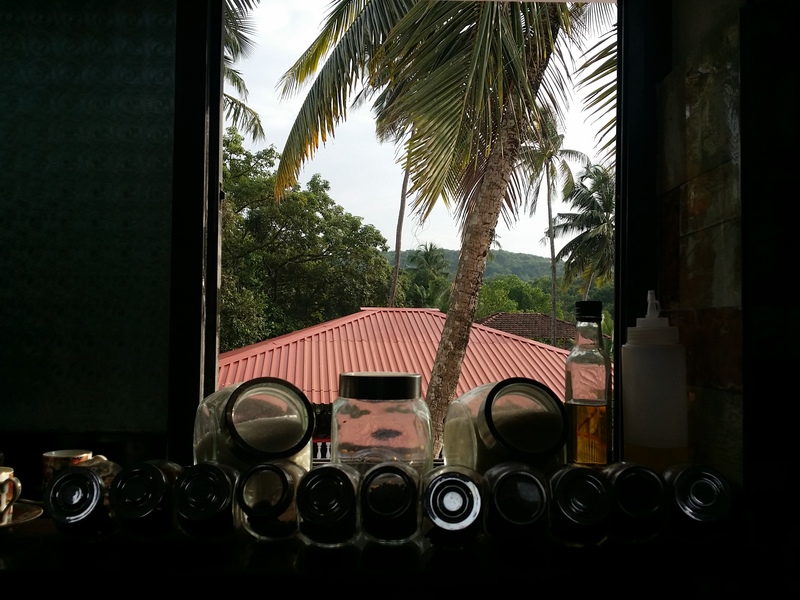 In Anjuna, especially, we have no garbage service. We burn ours, which is definitely not a pleasing smell, and sometimes I wonder if the haze in the sky is from other people burning their own garbage. To be fair, there’s also a lot of crop burning going on. Since we are surrounded by jungle, we’ve got a gigantic “compost bin.” The other night we had some friends over for dinner (Monica and Al), and when asked what to do with the compost, I simply pointed above my stove. . .
“Where?” Monica said, looking at the spice jars. “Right out the window,” I said. We both laughed. I know from this picture it looks like a house is right next door, but there’s actually jungle in between. I feel like it’s my way of feeding the poor cows that wander aimlessly. They deserve something other than just garbage. After all, they are sacred, right?! And then. . . . drum roll, please. . . there’s the whole maid thing, or ‘servant’ as most people say around here. I know it’s not uncommon in other countries, but it’s usually a luxury item tagged onto your monthly expenses. In India, people with a little bit of money have hired help. Due to such over population, it makes it very affordable, and thus, has become a weird staple in many homes. It’s nice, I guess, but it’s also weird to me. I’m used to doing things myself, but honestly, our maid only comes in once every other day to do a “swab,” which is essentially mopping the floor. I still do everything else throughout the week. Truth be told, I don’t mind not having to mop so many times a week. The weather in this country is super dusty, so the floors are dirty no matter how many times I sweep. 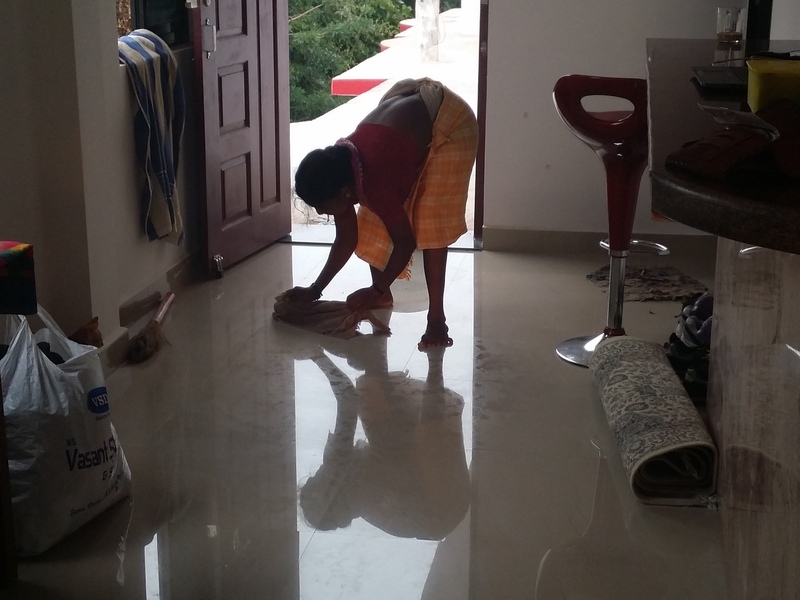 The “mop” here is just a rag, too, and it’s a back bending experience. 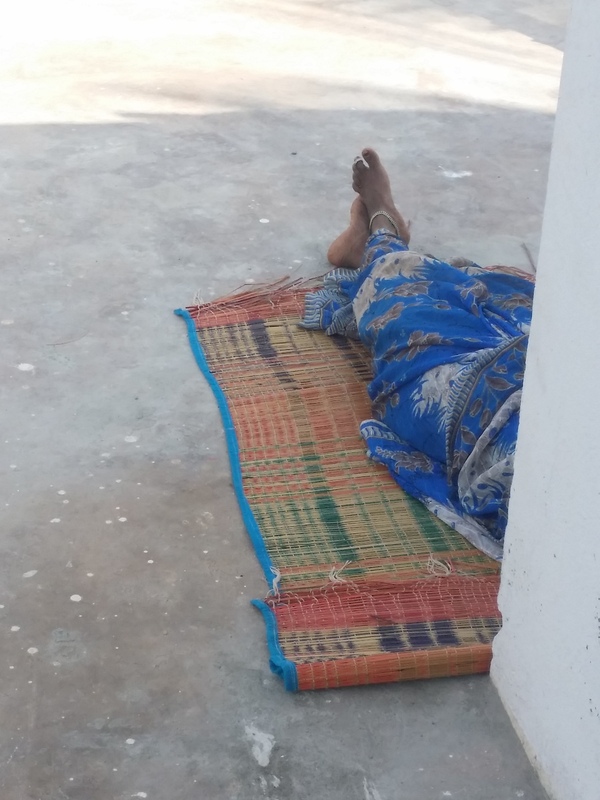 During the siesta time of day, the guesthouse maid has her lunch on the roof and then takes a nap. Goan’s are really good at sleeping. Finally, the last thing on my list of eclectic oddities, is lizards. My cat, Shanti, got one the other morning. It seems lizards have replaced mice and now I’m finding detached tails on my rugs. I don’t know what’s worse. . .a dead mouse, or scattered lizard body parts. The joys of living in a tropical dream. Hehe! All things aside, I don’t ever scoff at the beautiful sunsets in my backyard. Tonight was especially yummy. Enjoy!